Since January 2008, DCI-Palestine has documented 126 cases of children affected by settler violence in the West Bank and East Jerusalem, including four fatalities. Yet, impunity is pervasive. According to Israeli organisation Yesh Din, over 90 percent of police investigations arising out of complaints filed by Palestinians against Israeli settlers end in failure. 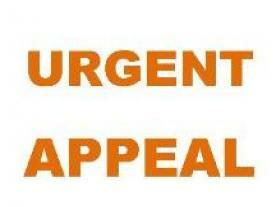 Please send urgent appeals. 2. All incidents of settler violence against Palestinians be promptly, diligently and independently investigated in accordance with international standards, and allperpetrators be brought promptly to justice. · The Israeli embassy in your country [list of Israeli diplomatic missions worldwide]. There are now approximately 500,000 Israeli settlers living in 200 settlements inthe West Bank, including East Jerusalem. The presence of settlers in occupiedterritory is a constant source of friction which sometimes leads to violence. These settlements are permanent civilian communities established in occupied territory and are illegal under international law. The illegality of thesettlements has also been confirmed on a number of occasions by the UNSecurity Council and the International Court of Justice. According to the Israeliorganisation, B‟tselem, these settlements now control around 42 percent of the land area of the West Bank, on what is supposed to be the site of a futurePalestinian state. obligation to provide protection, settler attacks against Palestinians and their property, mosques and farmland have increased by almost 150 percent since 2009 according to the UN. The UN attributes increasing settler violence to lax law enforcement measures.This view is supported by the Israeli organisation, Yesh Din, which found that over90 percent of police investigations arising out of complaints filed on behalf of Palestinians in the West Bank, end in failure. Please note that the cases presented in this Urgent Appeal do not represent anexhaustive list of all cases involving settler violence against Palestinian children. · EU Statement on the increasing number of settler attacks against Palestinian civilians. · The Guardian: Jewish settler attacks on Palestinians listed as 'terrorist incidents'by US. · Haaretz video: Israeli settler shoots at Palestinians while army stands by. · UN: The Humanitarian Impact of Israeli Settlement Policies Fact Sheet. · B‟ tselem: Settler violence against Palestinians and Palestinian property.